We know it can be a headache to shop for aquarium accessories. Whenever you try to search for a filter you get tons of options. Of course, every product claims that it’s the best one. 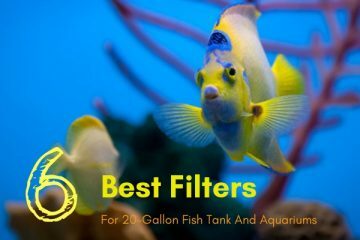 We want to help you get the best filters for your tank. Today we will be looking at the Aqua clear filter. This filter has tons of features that make it stand out. It can handle several different types of tanks. 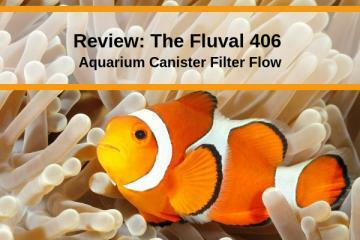 Below we fully review the filter to let you know just how good it is. We even go over the cons of the product. Should You Purchase The Aqua Clear? 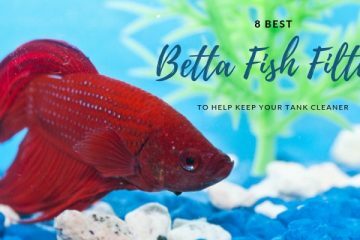 Having a filter in your tank offers you several benefits your sure to love. By using a filter you can keep your tank cleaner than ever. This takes less time away from you that you would have spent cleaning before. Filters are easy to set-up and perfect for just about any tank. 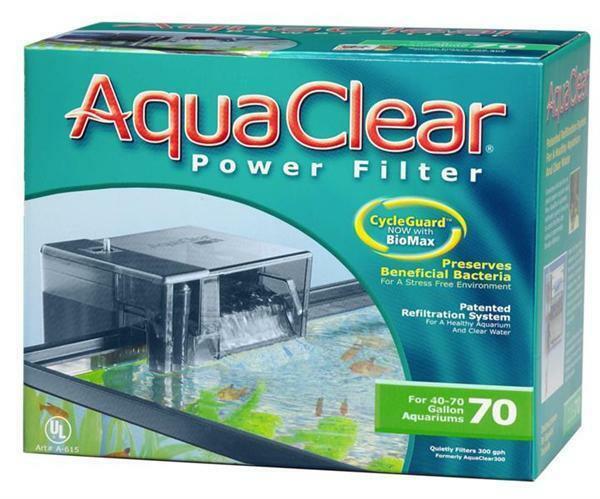 The Aqua Clear Filter has a few additional features to make it stand out among competitors. To start with it has 7 times the filtration volume of similar products. This means it can handle cleaning more water at once. This helps keep your water crystal clear 24/7. This filter is made to be quiet. The set-up process is designed to be easy as well. With this filter, you will have very few problems while setting it up. The unit is also made to be durable enough to last for years. If anything does happen then the company will take care of you. This filter is energy efficient. This helps save you money over time on your electricity bill. The company also offer there online for replacement media. This media will perfectly fit into the Aqua Clear Filter. Compare it to some other filters here. 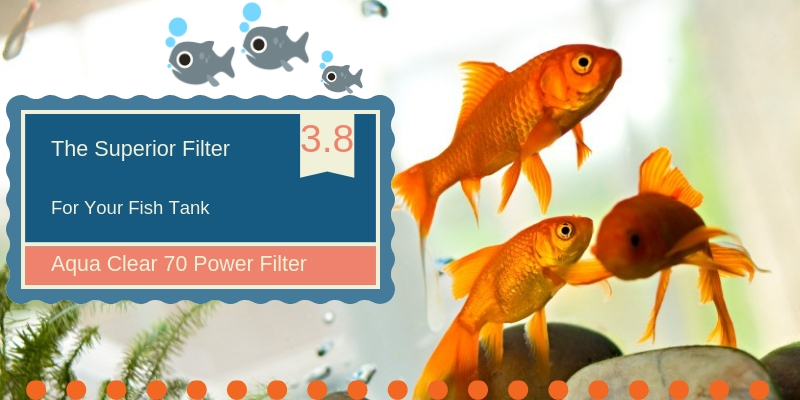 This filter can work into an aquarium up to 110 gallons in size. The lowest recommended tank size to use this product in is 60 gallons. Smaller tanks may find that the water flow is too slow while bigger tanks may not have enough water flow. If you have a larger tank then 110 gallons click here. This filter has an output rate of 300 to 100 gallons of water per hour. The 100 GPH a lower output rate that can work great for fish who prefer gentle currents or calm waters. All you need to do is figure out what setting is right for your personal tank. 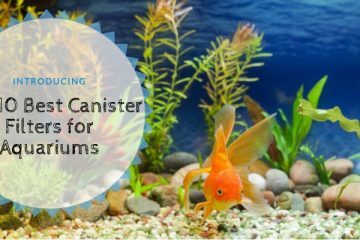 This filter has a ton of features that make it a perfect pick for many aquariums. Like mentioned above you can control the output of water. You can have the maximum amount of output or turn it down for slow tanks. Just use the Flow Control to find the perfect setting. This filter uses three different types of media in its multi-layer filtration process. 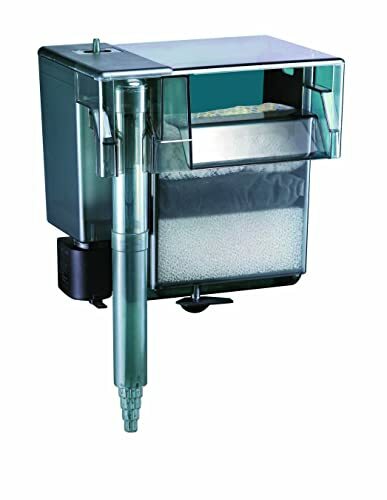 The filter uses mechanical, biological, and chemical media to keep your tank clean. It also comes with a starter set of media so that you can get started as soon as you receive the product. This product measures 6.2 x 10.7 x 8.6 inches and weighs 2.69 pounds. This makes the filter light and easy to move around. This is a great feature since this filter hangs on the side of your tank. If a hanging filter is too heavy it can wear the tank down over time. This filter comes with a limited lifetime guarantee sure to make you smile. If anything breaks on the filter just contact the company for a replacement. You will have to cover a small shipping fee, but that’s it. This warranty does not cover against user damage. 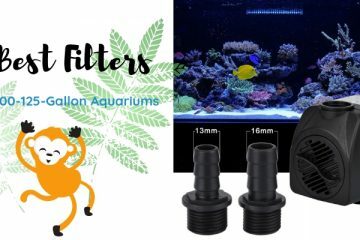 This filter can work equally well with both saltwater and freshwater tanks. You will also find that it can work rather well in tanks with plants. Be sure to have a proper light like the ones found here to accompany your filter in a planted tank. Setting up your filter is made to be easy. The filter comes with easy to understand instructions to help you get started. The filter comes out of the box pretty much ready to use. You will need to place the media inside of the filter before you do anything else. In the bottom of the filter, you will need to place the foam insert, this is your mechanical layer. In the middle of the filter, you need to put the carbon insert. The very top of the filter is where the bio media will go, place the BioMax filters in this spot. Once you have all of your media set you will need to choose the best spot for the filter. Ideally, you will want to place your filter in the back of your tank. This way it’s not blocking the view of your fish and is less likely to be bumped into. You will also need to consider the tank lid. Once you have safely secured your filter on the side of the tank you can plug it in. To get the filter started you will need to fill it with water from your aquarium. Once this is done your filter should run on its own without a single problem. Cleaning out your filter is something you will need to do regularly. We suggest that you make time to clean your filter every 2 weeks to a month. If proper maintenance is not done then your filter can end up failing on you forcing you to buy a replacement. Proper maintenance also keeps your warranty in effect. To clean the Aqua Clear filter you will need to remove the media. Make sure you unplug the filter and let any excess water pour out before beginning the cleaning process to avoid messes or malfunctions. You will then want to remove the basket from the case along with the media. Dump any excess water out and clean out any stuck debris. Make sure to completely rinse out the filter with warm water. Using a hose with some pressure can help move any stuck particles. Once you have everything wiped down, put the media back in the correct order. The filter assembles back fast and all you need to do is fill the filter with water to get it started again. Make sure everything is securely back in before plugging the Aqua Clear up. The filter comes with a limited lifetime warranty. This covers any parts that can’t be replaced in the filter that may fail over years of use. The filter itself is made to be sturdy enough to not break down on you often. The filter is easy to take apart so that cleaning is a breeze. Set-up like cleaning is easy with this model and it comes with clear instructions. This filter is low energy so that it won’t cost you a fortune on your electric bill. Along with this, the filter is whisper quiet. You can have it in virtually any room in the house without being disturbed by noise. There are a few cons to owning the Aqua Clear filter. This filter doesn’t work too great with sand and may end up getting clogged due to it. You will also want to avoid not doing regular cleaning on this unit as it can get easily clogged if not regularly maintained. You may even have to clean it more than once a month. Now that you know pretty much everything there is to know about this filter you may want to buy it. Make sure that this filter will work well with your size tank. Also, be sure to check the breeds of fish you have to see if they can work with the strength of this filter water flow. Since this is a hook on filter you will want a hood that can work with it. If you need a new hood then click here for some suggestions that may work for you. Remeber that you will need constant maintenance with this model and sand aquariums will clog the Aqua Clear quickly.